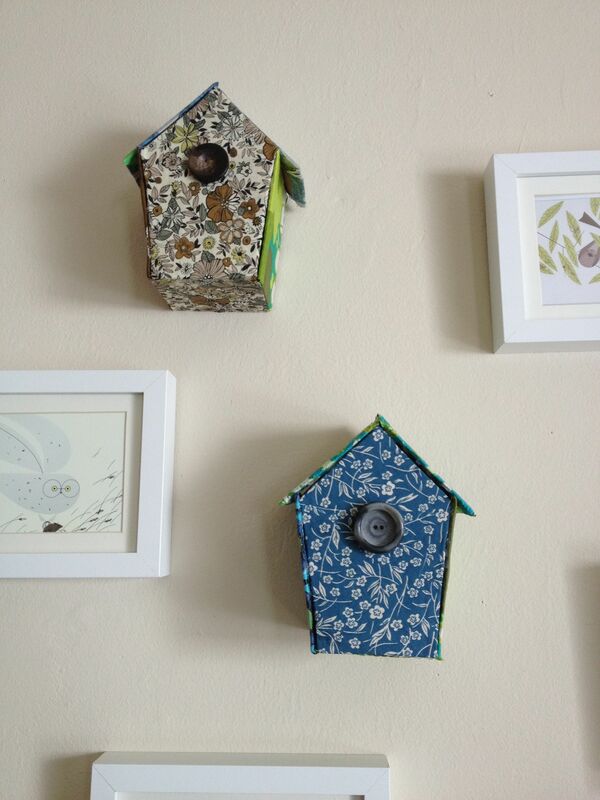 We have a bit of a blue & green bird theme going on in the nursery and this project came to me whilst browsing the Ikea blog. 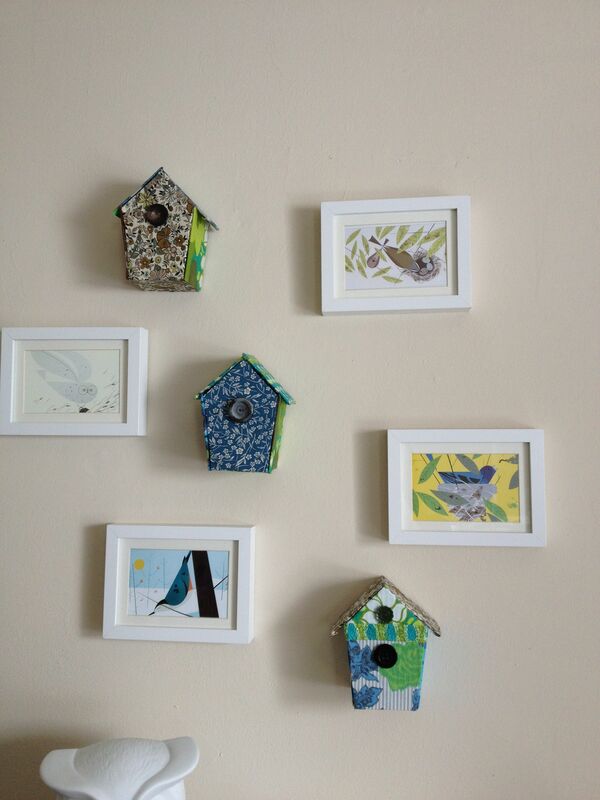 There was a wall of bird boxes hanging on a nursery wall and I thought “I can do that”. All it took was some fabric scraps, buttons, glue, cardboard and a bit of measuring and planning. 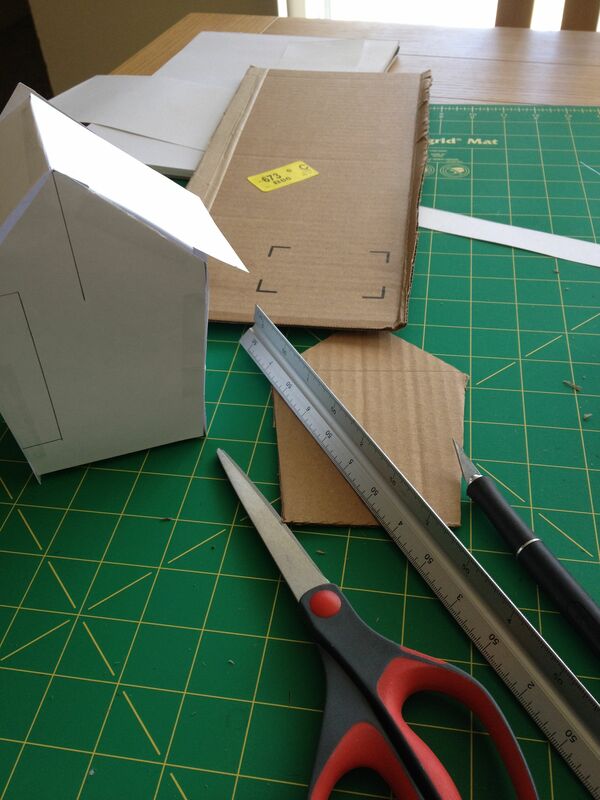 I started with a paper model so I could work out the dimensions and pieces I needed. To give you some idea of scale, the base is 3″x3″ and the height is 6″. 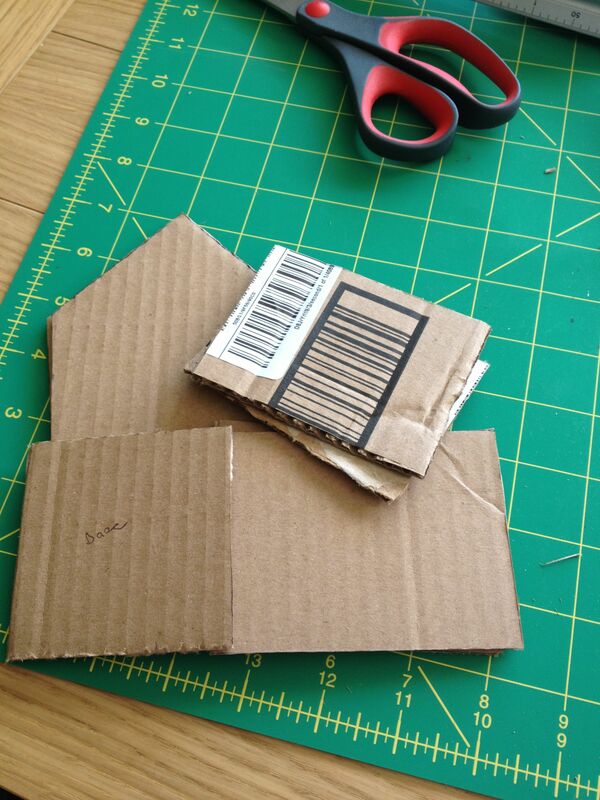 I then used these pieces as a guide to cut out the cardboard (I used corrugated card from an Amazon box). I have a box full of fabulous vintage fabric that I picked up in Oxfam years ago so I pulled out some blues, greens and browns. Using the cardboard shapes as a template I cut the shapes out allowing about 1cm extra so I had some spare fabric to wrap around the edges of the cardboard. Then I stuck it all down using mod podge. To assemble the bird houses I used hot glue (my favourite part!) and added buttons. Finally, to hang them we drilled holes directly in the back of the houses and hooked them on to nails. I love them combined with the framed Charlie Harper postcards. I don’t mind admitting that this is my favourite project so far. 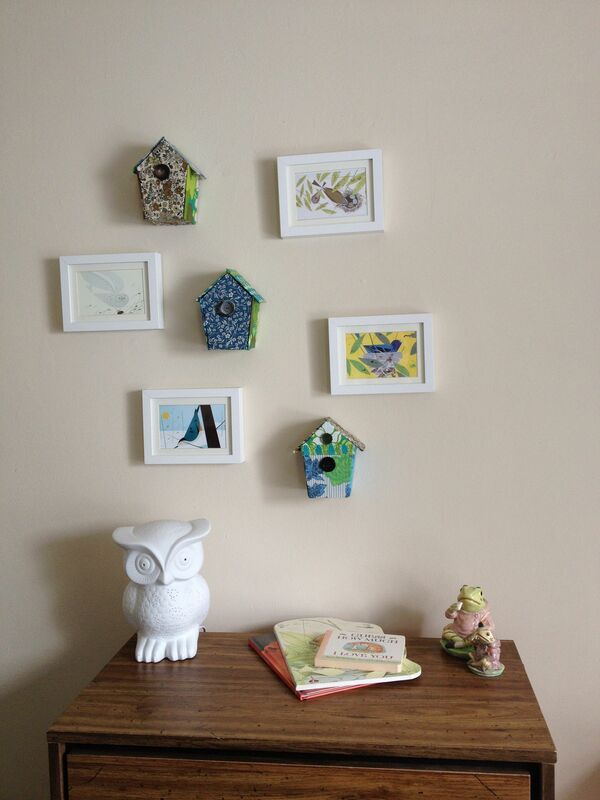 More ideas: you could hang them from the ceiling instead of the wall; make mini ones for a mobile; stand them on a shelf; make them in a variety of sizes. This was such a fun project, I’d love to see if you have a go!